In my garage there is a fridge. And 'hidden' in the vegetable crisper of that fridge, there is a bag. And in that bag is candy, a lot of candy. The candy, which was left-over from Halloween, had almost been forgotten. 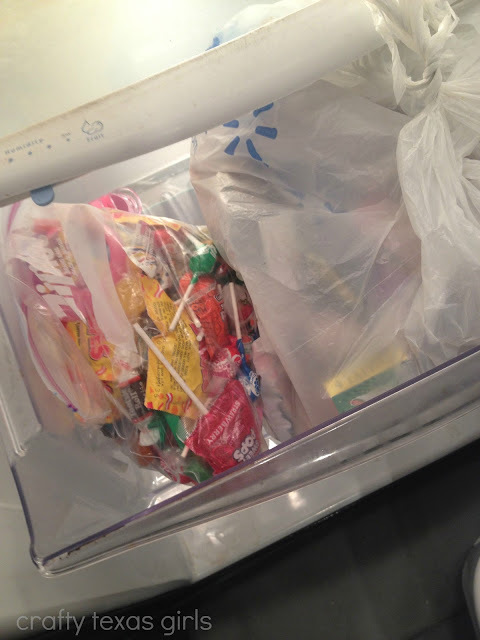 My girls couldn't 'bear' the pain of me throwing away the candy, so after October, I just moved it out to the garage fridge. I had intended to use it as special treats once in awhile. But the candy had been forgotten. That is until today. I went to grab a bottle of water and the girls spied it. Kids can be soooooo observant. For some reason, just giving my girls a handful of mini-candy bars seemed wrong. But baking them into a batch of sugar cookies... well that was just fine with me! 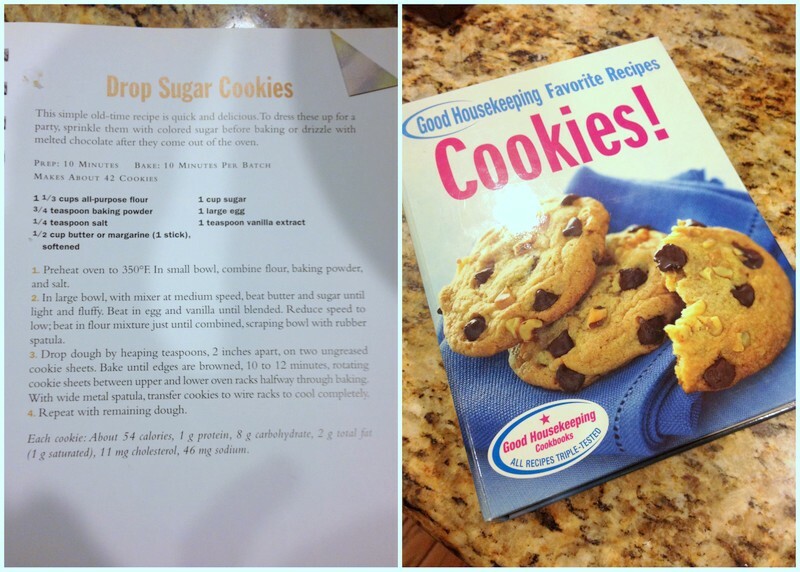 So we mixed up our favorite sugar cookies from Good Housekeeping. Then we crushed a bunch of mini-Butterfingers and threw them in. I ended up adding an extra cup of flour too. Made for a thicker cookie. *Bake at 350 for about 10 minutes. The girls loved them. And I ate my share too. After my big run on Sunday, I felt I had earned it! With 'Teacher Appreciation' week upon us, I am sure these cookies would be a great way to thank all of those sweet teachers out there! Got any candy hidden around your house? 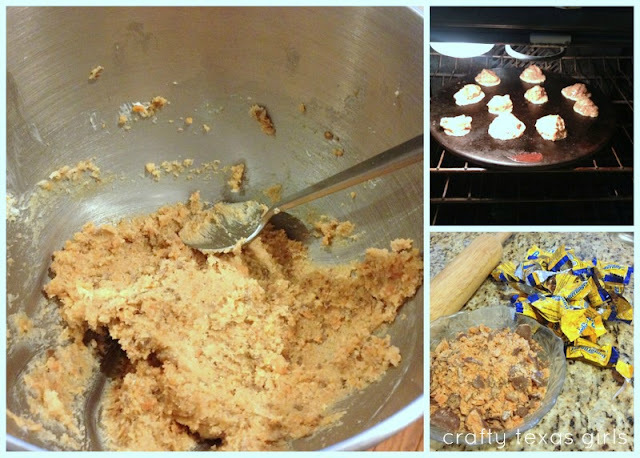 Find more yummy recipes on my Pinterest board, "Bake It: Yummy Eats".